It can be difficult to understand how voters feel about certain issues or political candidates. It’s even more difficult to know which way they’re going to vote. Market research can help political candidates and other interested parties understand voters. By collecting data via live telephone interviews, researchers can gain insight into voters’ thoughts, opinions, and feelings to predict which way they may potentially vote in upcoming elections. Political polling can distinguish which candidate is leading in an upcoming election at a given point in time. Surveys may ask questions such as -- What are your thoughts and opinions on important issues? How well are the candidates addressing these issues? Who do you favor? Does your political party preference sway you away from voting for a certain candidate? Based on direct feedback from registered voters, researchers will be able to determine which areas are most important to voters in driving their decision for the election. Researchers can also discover voters’ preferred candidate characteristics to help interested parties figure out the type of candidate that will best appeal to their constituents. This information can help guide candidates to prepare for future campaign messaging and understand relevant and important topics to address in debates in order to win over voters. When researchers survey constituents, they can uncover the “hot button topics” that might be affecting a specific town, state, region, or the nation. Typically, these topics have a significant impact on voters’ preferences for candidates and ultimate election decisions. If unemployment is a major issue for a candidate’s constituents, they’re likely to vote for the candidate who sees unemployment as a top priority. Some common hot button topics that impact voting include the economy, healthcare, taxes, education, quality of life, or infrastructure. By taking into consideration the topics that matter the most to voters, candidates can determine how to best address them prior to the actual election date. Ever see a political advertisement that just rubs you the wrong way? Ever see an advertisement that you can’t believe made it to air? Don’t let that be your candidate or cause. Message testing is a valuable part of any campaign and is a great use of qualitative research. Recruiting 10-12 “likely voters” to a focus group where they are exposed to a number of ads, messages, slogans, etc. is an excellent way to take the guess work out of what constituents want. Get direct feedback from the voters’ mouths on how an advertisement changes their perception of a candidate or cause and whether or not it will drive them to the polls. Statistical reliability is an important aspect when conducting political polling research. 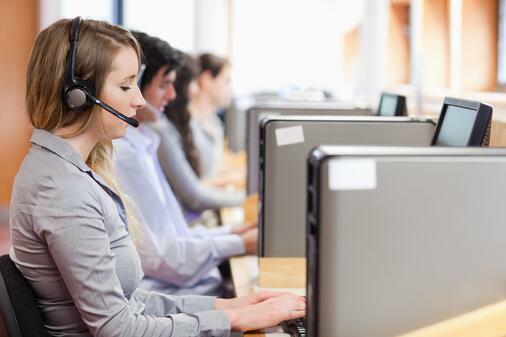 Depending on the total size of the target population, GreatBlue recommends sample sizes anywhere from 400-1,500 total completed telephone surveys. This number will vary based on the total size of the population, with the goal to have a margin of error within 2-5%. When you use a professional market research company to conduct political polling, you can be sure that the proper sized sample will be utilized, and the results will be statistically reliable. GreatBlue Research strives to work in the most effective way possible to ensure the integrity of the data we gather. To achieve this goal, GreatBlue employs computer-aided interviewing platforms for telephone-based surveys, resulting in comprehensive and statistically reliable data. Our in-house, 24-seat bilingual Call Center provides personal day, evening, and weekend service to best meet the needs of our clients. Following data collection and analysis, we compile thorough and insightful findings that provide specific, actionable results.